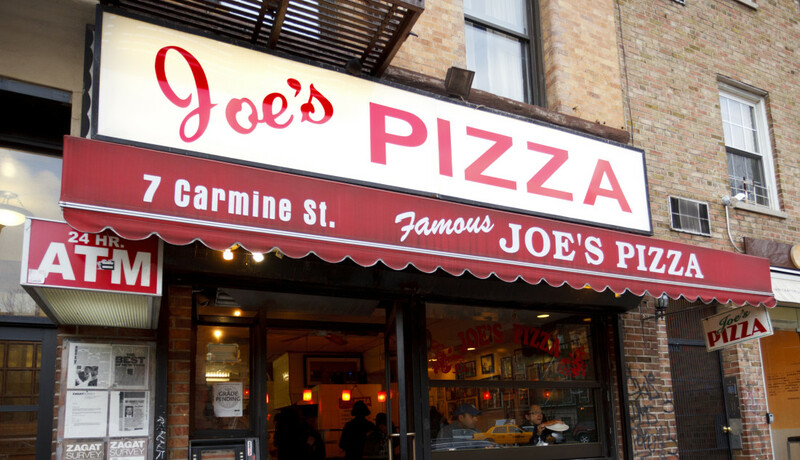 In August 2004, the Pozzuolis family, who owned Famous Joe’s Pizza in Manhattan’s Greenwich Village, fired Victor Zarco. 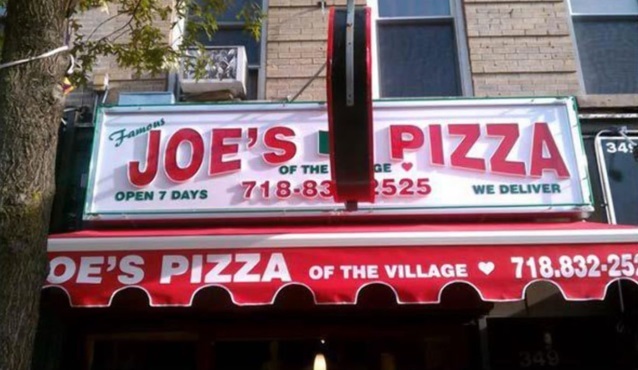 Mr. Zarco thereafter opened a pizzeria in Brooklyn calling it "Famous Joe’s Pizza of the Village." The Pozzuolis family learned of the rival in 2010 but did nothing about it for another seven years. But when Mr. Zarco put up a sign in Brooklyn that was nearly indistinguishable from the Manhattan sign and made only a slight change in response to a demand, suit was brought in the U.S. District Court for the Eastern District of New York. The Court issued a preliminary injunction and pointed out that Mr. Zarco’s restaurant also showed photographs of Tobey Maguire (who played Peter Parker, an underperforming pizza delivery man for Famous Joe’s Pizza in the 2004 film Spiderman 2) that had been taken at the Manhattan restaurant, and had posted similar social media images. Within weeks, the Pizzuolis family claimed that Mr. Zarco was in contempt and a flurry of letters to the Judge ensued. The Court declined to find contempt but issued an order that clarified the preliminary injunction’s requirements. Famous Joe’s Pizza, Inc. v. Famous Joe’s Pizza of the Village, Inc., 2018 U.S. Dist. LEXIS 63892 (E.D.N.Y. April 16, 2018). The parties subsequently agreed to a settlement decree that provides detailed requirements including the deletion of “Famous” and “of the Village” from Mr. Zarco’s restaurant’s name and limits on the photographs that can be used to show Mr. Zarco’s former affiliation with the Manhattan restaurant.